Posted by Science Club for Girls in Letter to Young Self, women in science. 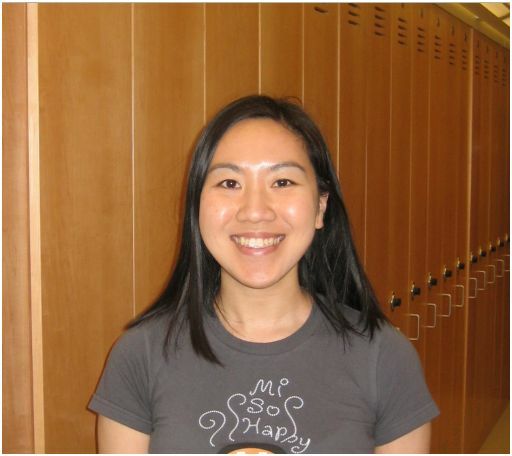 Linda Yang is a postdoctoral fellow at Beth Israel Deaconess Medical Center. While attending graduate school at Mount Sinai School of Medicine, she studied metabolic pathways underlying obesity. This lead to examining how metabolic pathways define cancer and now she is currently studying tumor immunology. How do I begin to tell you the adventures your scientific career will take you on? Do I tell you everything or leave some stories as a surprise? A little hint is that your love of science will take you to NYC where you pursue a doctorate in biology. Eventually you’ll meet your husband, a fellow graduate student, while working hard in lab. You realize you don’t have to hide behind how smart you are to get a guy to like you. Just be the wonderfully inquisitive, thoughtful, and intelligent person you are and boys will get that and like that about you. Always remember to stay curious because this will be the foundation of your love of science. Ask questions like how do plants grow and why is the sky blue and have fun in the pursuit of the answers. Eventually this will lead to asking bigger questions with more difficult answers like how does cancer form and how do we cure it? Above all, remember that liking science doesn’t make you nerdy and don’t let anyone convince you otherwise. Keep working hard and doing well in school. There will definitely be days you won’t want to do this but stick to it. Your perseverance will lead to a rewarding career finding cures to help sick people and along the way you’ll make wonderful friends that will last a lifetime. Don’t be too self-conscious and remember that what makes you different will be your strength. Be confident, adventurous, laugh easily, and don’t worry so much about what your next step should be. Pursue the things that interest you and the rest will fall in place. We have retired this blog.